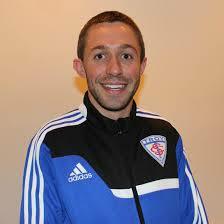 Hello, my name is Ahren Savickas and I am the TSC Development League Director. I can not wait to see everyone on the soccer field and look forward to developing your soccer success. We are very excited to start the 4th year of the program with 1,132 player registrations between multiple locations and growing. We have expanded into Lake Orion, while allocating funds to developing and updating multiple soccer fields in Oakland and Macomb County, Michigan at various public elementary schools (SFES Project). Please review the information below and on the website for every week for it will be updated with training videos, homework, updates on weather, development within the club and new events and promotions available for all TSC Development League Members. The DLeague website tabs will also contain a Q&A and other information that will hopefully breakdown all other details you will need to be familiar with this league. TSC DLeague is also accessible via League Athletics Team App where all information is available 24-hours a day for each season your son(s) or daughter(s) register to. - Playing Field: Behind the school to the left (near baseball field). A TSC D-League soccer jersey will be provided at your first practice. If you show up in whatever soccer jersey or athletic shirt you want to wear, that's fine. But by game time we will be switching to our jersey. Please be sure your child is dressed for the weather. We will be providing the players with their very own TSC D-League soccer jersey. To make sure your child is accounted for, we will need an estimated size from you. Please review the chart below and respond to this email with your child's name and size.